This entry was posted in knitting and tagged baby blankets, blankets, cotton, fiber arts, fiber arts friday, fo friday, recycled, stripes, upcycled, wool. Bookmark the permalink. If ever there was a winter that called for blankets, this past one was it. Yours are gorgeous! Seriously. There was snow on the ground here when we woke up this morning! I love that you do these for other people. 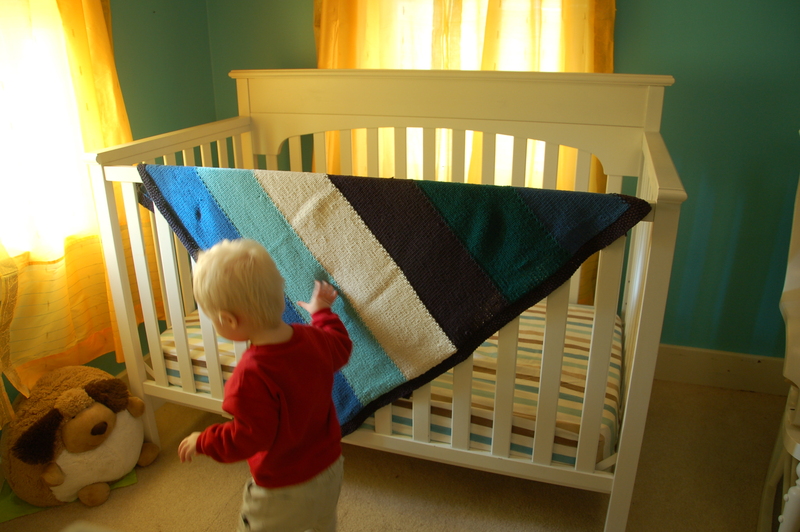 🙂 The beautiful yellow baby afghan you made for us in 2004 is still a treasure to us! Oh, that’s so nice to hear, Amy! I do like making them. 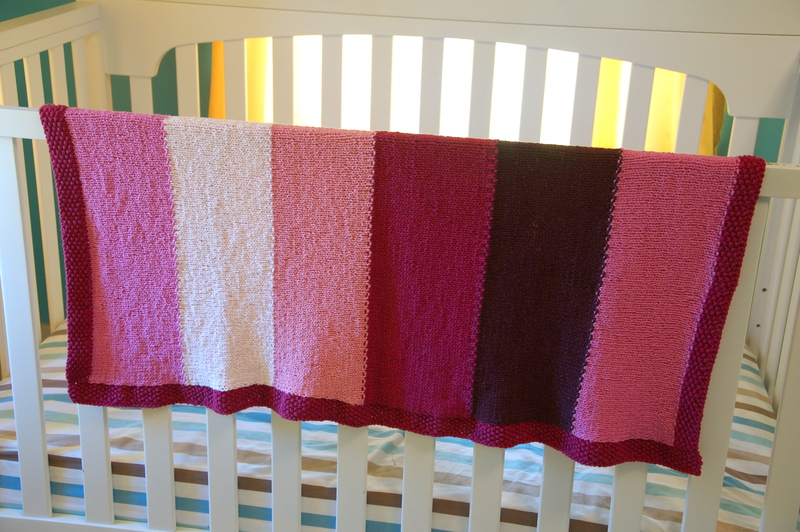 Um, you finished two baby blankets in two months? Along with other knitting? Wow! My sister is expecting in September, and I’m seriously wondering if I will have time to finish ONE blanket by then…you have inspired me to give it a go! You can do it! Baby blankets aren’t really that big. You did beautiful work. And fast! 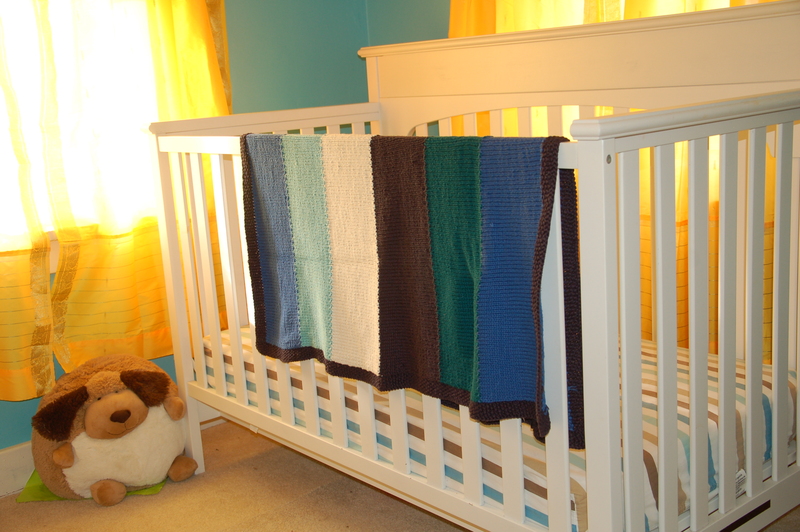 The play of colors for the baby blankets is great! You might just make me a bit more adventurous with colors for babies. Thanks! I’m a fan of bright colors — for babies and everyone, really. 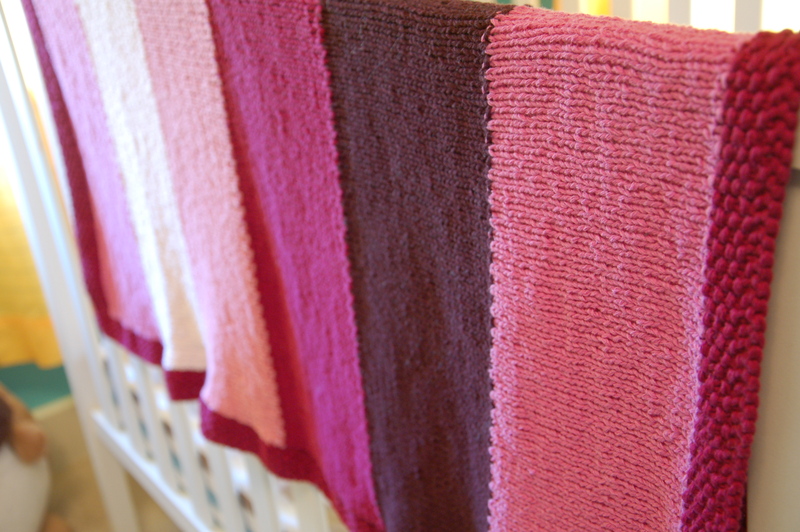 Beautiful blankets, I love all of them. 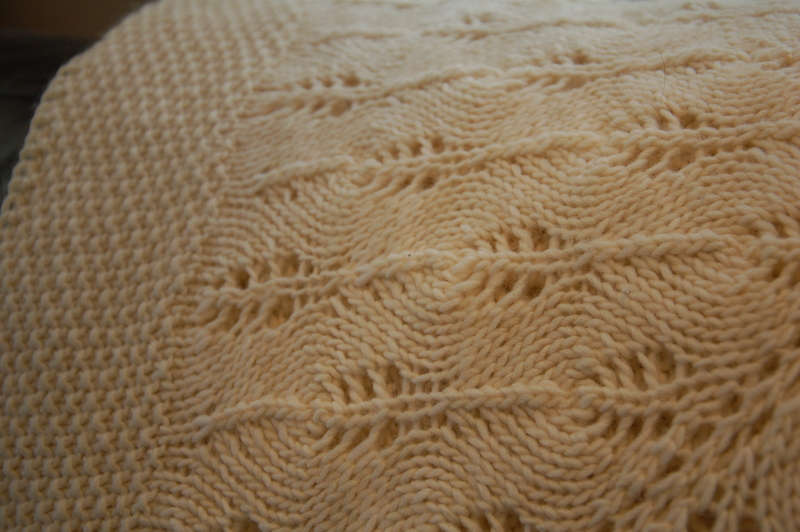 Nothing beats handknit for baby gifts. I think every baby should have at least *something* handmade! ooooh, these blankets are lovely! I agree, every baby should have something handmade. I still have the blankets that were gifted to my children from various friends and family members. A couple were thoughtful and made them big enough that the kids still use them as lap blankets. These are beautiful! I love the colors you chose. Wow so many beautiful blankets! I love the one at the top with the lace pattern, so pretty! Wow, those are gorgeous! I’m so envious — I’m a rubbish knitter and gave it up years ago. 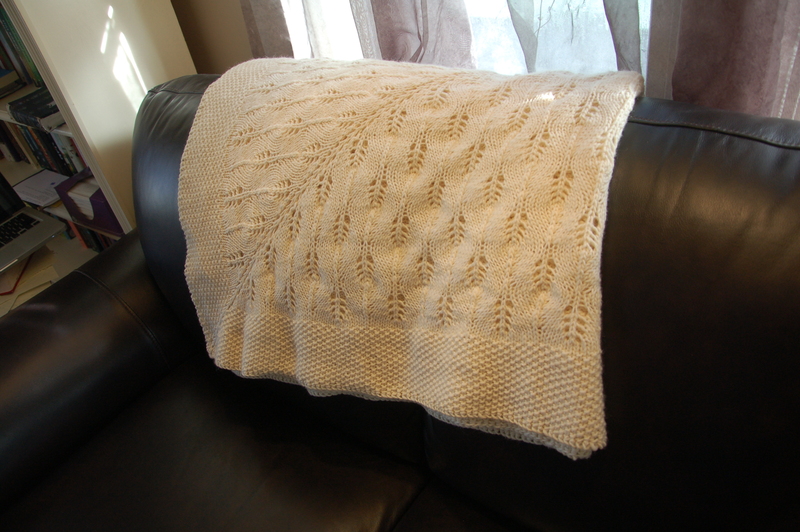 The white blanket is especially pretty! Oh Hannah!! That leaf blanket is absolutely gorgeous!! I wish I knew more about needle arts but the girls have received a few handmade blankets and I admit that I don’t use them because I’m so afraid of them being destroyed! Instead they sit on the backs of chairs and I only pull them off if the babe has fallen asleep on me and I want a cover up. This is absolutely silly, huh? So pretty! Love the leaf blanket. I really had intended to try to learn to knit over the winter but, dang, it was too cold to go out any more than absolutely necessary so I never signed up for classes.